I love arrows. There are just so many dynamic patterns that can be made with them and I am pleased that the chevron craze is moving on possibly to an arrow addiction. 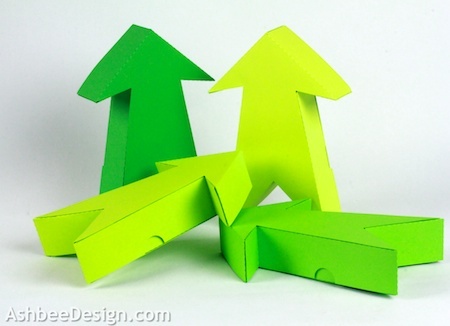 I used a package of card stock in gradient greens to build a 3D arrow.....and then I made 3 more! 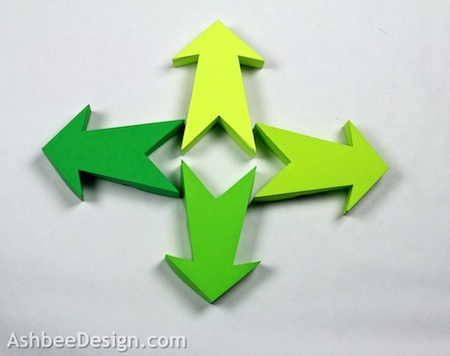 But, as I mentioned arrows are great shapes because of the dynamic patterns you can create using them. 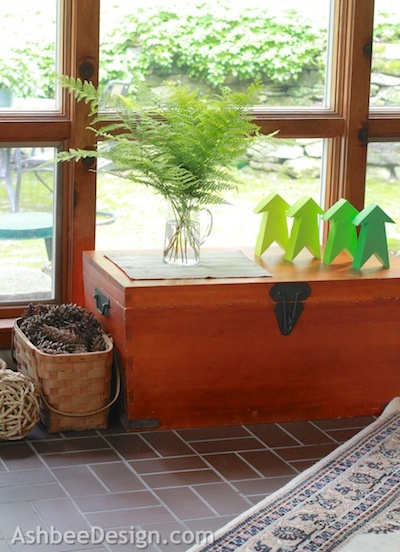 Instead of perching these on my wood box, how about sticking them to the wall? This would be wonderful wall decor in a tween room! Or above the clothes hamper or recycling bins pointing down - subtle instructions. 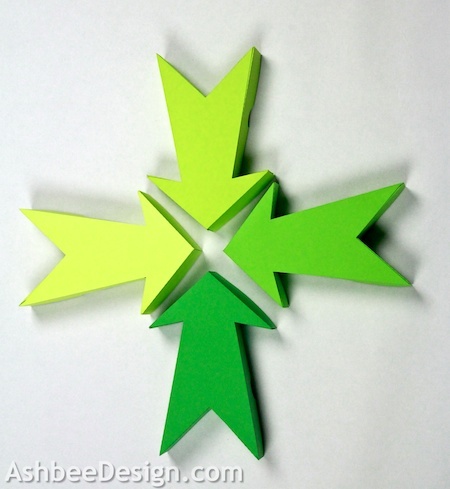 I made my arrow using my Silhouette cutting machine and have uploaded the cut files here plus a tutorial on construction here. 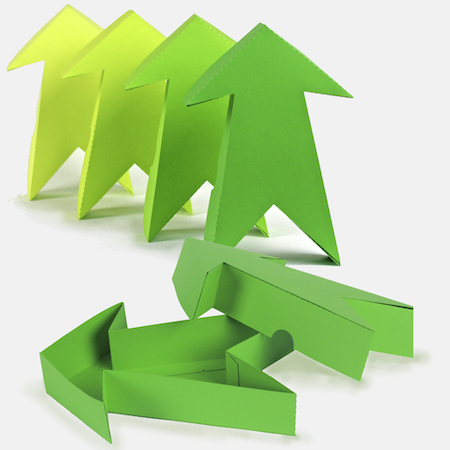 But, in reality an arrow box is very straight forward and it can be made by cutting two matching arrows and then strips of paper for the sides. Hold it all together with glue dots. I love green! Awesome project. And I love paper that comes in gradated colors! So many projects to do with them! I'm a fan of the new arrow craze myself, but I still love Chevron too! 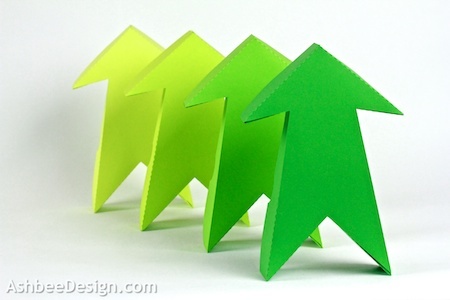 These green arrows you made are awesome! Thanks for sharing. Oh how wonderful, love that you did them in the gradients of green.